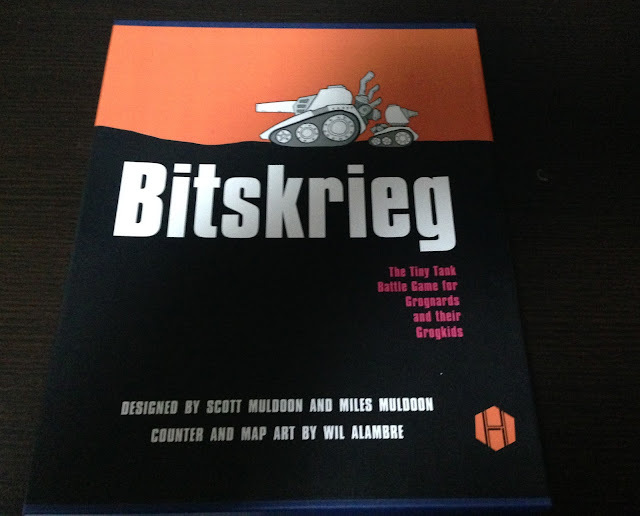 Bitskrieg, published by Hollandspiele Games, is an adorable game of tank warfare for you and your little guy or gal to enjoy. Designed by father and son team, Scott and Miles Muldoon, this introductory wargame is aimed squarely at the dad or mom crowd who want to have fun bonding over something a little more complex than making "pew pew" sounds with plastic army guys. As the father of a two-year-old boy, I have been looking for something like this for when my son gets older. It's a nice soft landing into the world of wargames with nary a CRT or a die modifier in sight. At the same time, there is enough to tickle your brain and make you really think about what you're doing. Luck plays a big part of it but so does strategy. So let's take a look at the components! Agricola from Hollandspiele Games is a solitaire design from Tom Russell released in 2016 from the fledgling company run by Tom and Mary. I've never played a Hollandspiele Game before so I was really excited to get my hands on this one. 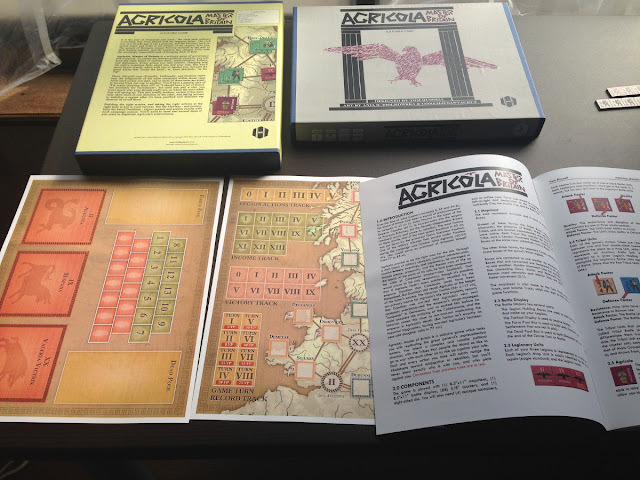 Agricola lets the player take on the role of the famed Roman general and governor of Brittania in the first century AD. You're faced with the tough job of making friends and outwitting your enemies. The problem is that you're never quite sure who is in which camp until certain points in the game. Sometimes you think you're making all the right moves and you end up with a knife planted firmly in your back. In addition to your own decisions, the game uses a really neat chit-pull mechanic to help determine how things play out.